It’s been a rough few months for the Bauers. William is the rector of St. Columba’s Church, which recently burned down in an arson-caused fire. About the same time, the Bauers learned that Elisa had become pregnant. She decided with her parents to give birth to the baby, and arranged for a private adoption. Six qualified couples expressed a strong interest in the child. But that beautiful opportunity to turn something sad into something good was quickly challenged by one of Elisa’s physicians, who decided that – because Elisa is mentally handicapped – the baby should be aborted. When Elisa and her parents refused to agree to that, he alerted local social services, who took them to court. A district judge then took the unprecedented step of ordering evidentiary hearings on the case. Since no statutes give the court or the county authority to override Elisa’s legal guardians and compel her to have an abortion, the family enlisted the help of Alliance Defending Freedom. We were able to provide pro bono legal counsel through local attorney Jason Guinasso, and – thanks to the generosity of our Allied Ministry Friends – a grant to fund the case. 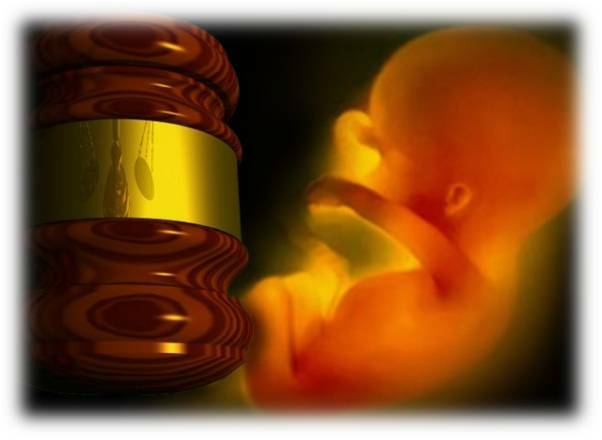 Guinasso took the matter to the Nevada Supreme Court, and although they declined to stop the hearings, the district judge ultimately determined not to compel the abortion. Please join me in giving thanks for the life of this child still in the womb, and in praying for all of our attorneys around the world as they work faithfully, diligently to preserve the sanctity of every life from the womb to the grave. LifeNews Note: Alan Sears, a former federal prosecutor in the Reagan Administration, is president and CEO of the Alliance Defending Freedom.